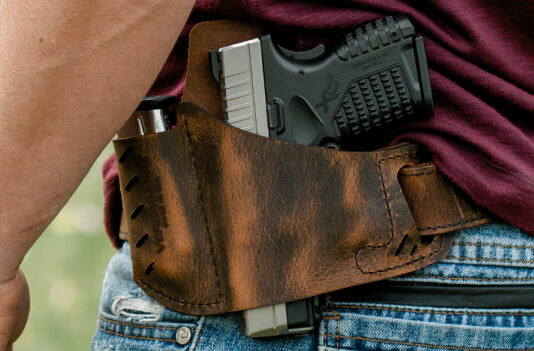 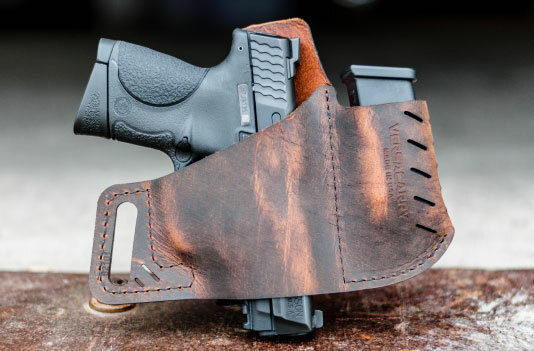 We have engineered this holster to lay flat when not in use and still be comfortable to wear. 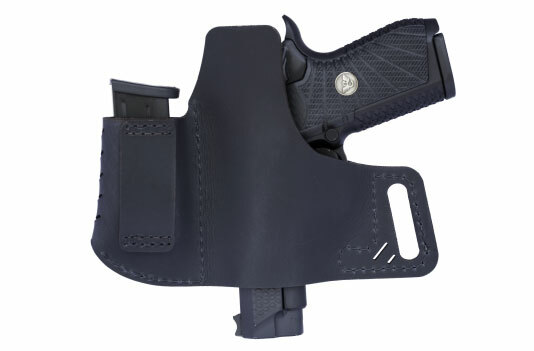 This is to avoid having to remove your holster also when you must go into a building that does not allow carrying. 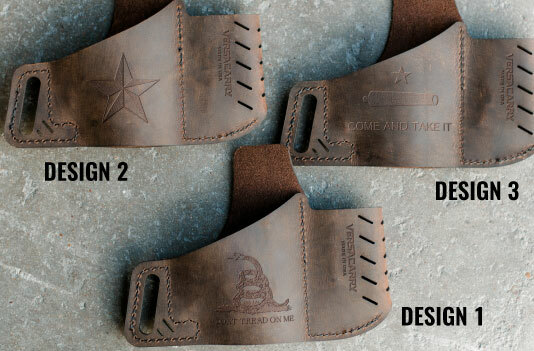 For an additional $10 you can choose from (3) custom designs to be engraved into your holster. 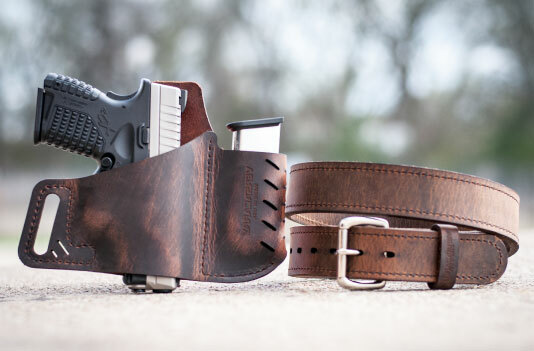 Double Ply Leather Belt - 30" to 44"